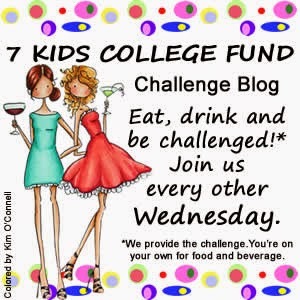 ANYTHING GOES CHALLENGE here at 7 KIDS! This time there is a twist-It must be spring! I just got this new stamp from the 7Kids Store called The Sweet Sounds by Penny Black ! I thought these beautiful bluebirds would be perfect for a spring project. 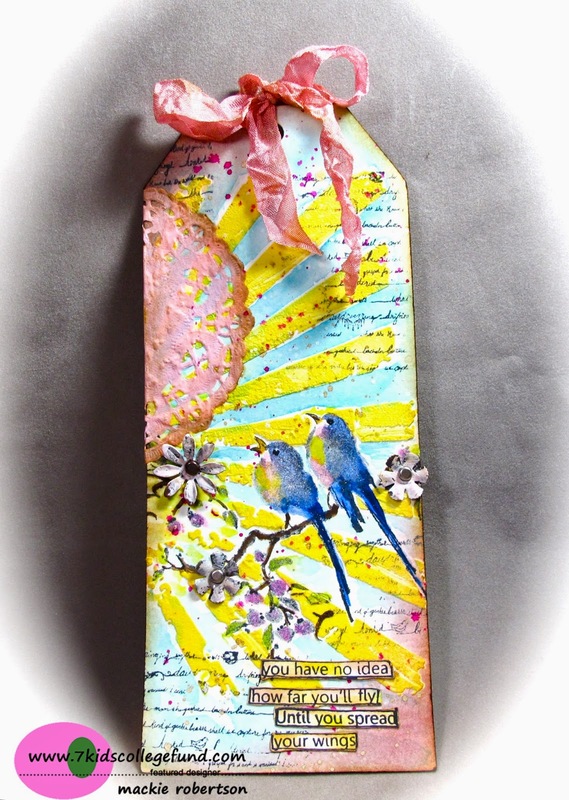 I stamped it onto a Prima WaterColor Tag with black Archival ink. I then stamped it again on regular copy paper and carefully cut it out. I used this as a mask when I made the sun rays. I made the sun rays with a stencil called Rays(Tim Holtz) and White Embossing Paste(Wendy Vecchi). You can color this embossing paste with all kinds of things. (Here is a video showing Wendy Vecchi showing how to use her embossing pastes.) I used Sunshine Yellow Alcohol ink to color the paste for the sun. I put a glob of paste on my craft mat, then added the yellow ink and mixed it really well with my spatula. I spread a thin layer of the colored embossing paste over the stencil and let it dry. After the stenciled area was dry, I pulled the mask off of the bird image, and colored the image with watercolors. The background was colored with Ranger Distress Inks and water. I added a pink doily and some other details. ANYTHING GOES CHALLENGE starting today! Mackie this spring tag is gorgeous! Love all the layers, birds and doilie! Your tag is gorgeous, Mackie! Wonderful sun rays and pretty doily! Love those sweet little birds, too! I wish I could make a tag like this! The texture, the colors and your design are fabulous! BEAUTIFUL Mackie!! I love that you made the doily part of the sun. Oozing with spring, well done! I can't even begin to tell you how much I LOVE this tag! The colors, the design, the birdies! Truly a work of art, Mackie! Wow what a tag Mackie. I agree with Sue, a true work of art. Gorgeous tag Mackie. Love the bright colors and the fantastic textures... the birds are so pretty!